Serving more than 800,000 people in Jackson, Clay, and Platte Counties, Mid Continent Public Library (MCPL) is the largest library system in the Kansas City Metro Area and one of the largest in the country. 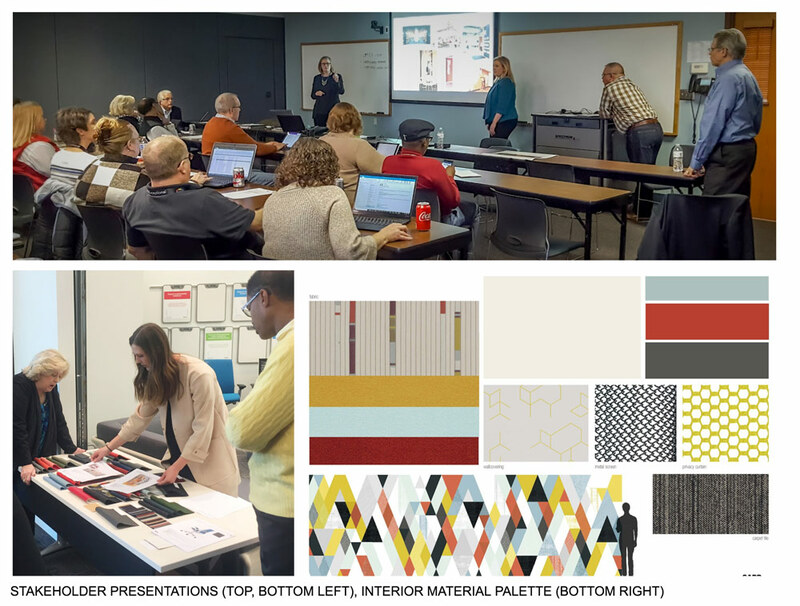 Over the last year, the design team of Sapp Design Architects and Helix Architecture + Design has been working with MCPL to prepare for the official launch of their capital program, which kicked off in May. Funded by the overwhelming passage of Proposition L in 2016, MCPL is investing $113 million dollars into enhancing all 31 existing branches and constructing two new locations. Of the 31 existing branches, MCPL will be replacing four with new buildings, expanding three with substantial building additions and renovating all 24 others. While the upgrades at each branch vary based on individual community needs and the building’s current condition, the improvements will help ensure that branches serve the needs of modern library users. MCPL and the Sapp | Helix design team worked closely with Construction Manager, JE Dunn Construction to develop a phased approach to construction. Phase I projects, which kicked off in June, include the Blue Springs South Branch, Excelsior Springs Branch, Antioch Branch and Midwest Genealogy Center. Additional Phase I projects will kick-off this summer, including the Oak Grove, Weston, and Platte City branches. 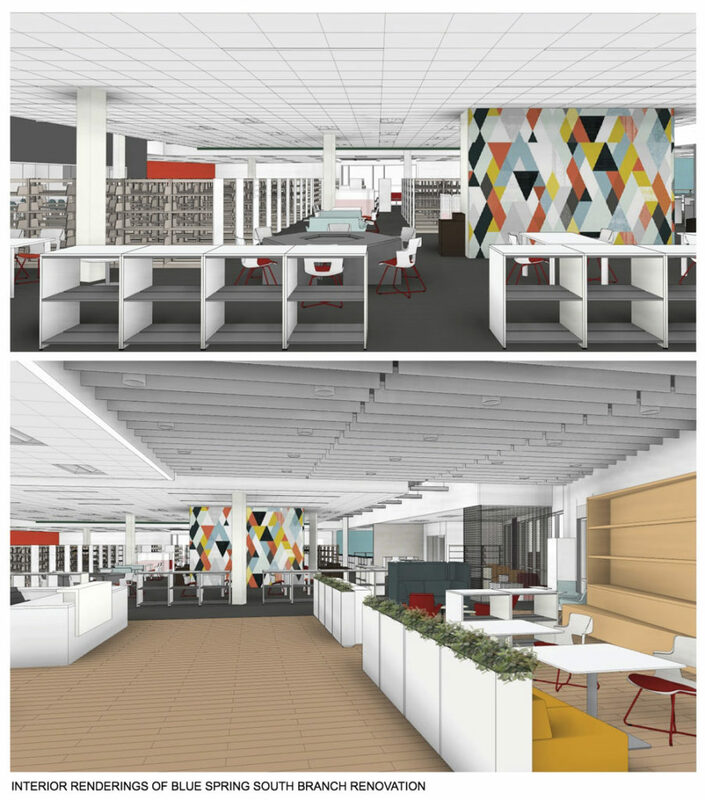 During the renovations, customers will be directed to alternate locations to conduct their Library business. First Watch, the popular breakfast, and lunch Chain, that opened it’s first Springfield location in October 2017. Since that time the location has broke records and is a top 10 performer out of 310 locations! The success of the first location lead developers Joseph Hulston and James Tillman to open a second location on East Sunshine and Plaza. Not only will this new location serve morning cocktails, the Architects at Sapp Design have given the brand a new modern look, which is a departure from the brand’s typical urban farm stylings. Our team could not be more pleased to work with this great group!